Home Business Finance How Much Cash Do People Actually Carry? These days, debit and credit cards have become the preferred way to pay for goods. The introduction of contactless payments has helped to increase the popularity of card spending over cash, providing a convenient and quick way to pay for smaller purchases. So, now that people have the option to pay via contactless cards, does this mean they no longer have to carry cash around? Here, we’ll look at whether cash is actually needed in our society anymore and how much people tend to carry around these days. According to mobile payments company, PayM, the average Brit carried just £22 in their wallet in 2016. The company’s research also revealed interesting statistics relating to different UK regions. For example, those living in Belfast carried the most amount of cash, while those living in Nottingham carried the least cash. 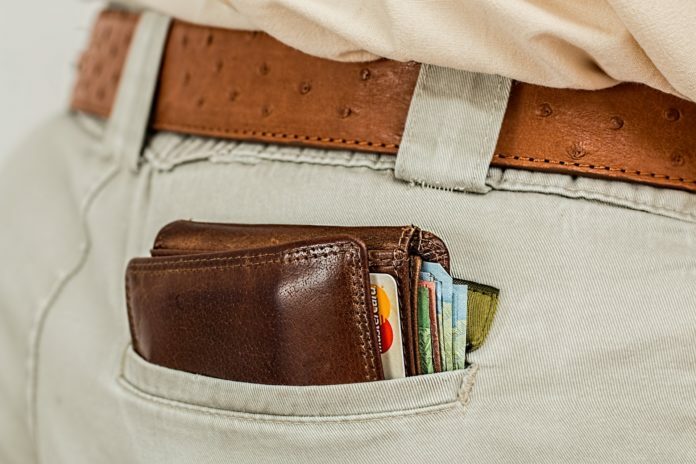 As debit and credit cards have become more popular than cash payments, it’s unsurprising most Brits don’t feel the need to carry around a lot of cash in their pockets. However, a key point to take away here is that although cards are more popular, most of us do tend to carry cash around with us, even if it is a lower amount these days. Do we actually need cash anymore? The reduction in the amount of cash we do carry around makes one wonder, do we actually need cash anymore? With contactless payments, it’s easy to pay for little purchases quickly. In fact, paying for goods on a contactless card is even quicker than paying for cash. It’s more convenient too so, it’s easy to see why some might believe we don’t need cash anymore. However, it is important that society’s finances are protected and what you might not realize is that cash does actually provide a little financial security. While cards are certainly more convenient to use, if a technical problem occurs, you simply won’t be able to get access to your money. At the moment, if your card and online accounts suffer an issue, you still have actual cash to fall back on. Will we become a cashless society? So, as cards become the standard way to pay for the goods and services we need, is it likely we’ll become a cashless society? Although many experts are predicting this will happen in the not too distant future, the reality is we’re probably always going to use some form of cash payments. It would be extremely risky having our entire finances held and managed online. Technical errors and online fraud could put the entire economy at risk. Therefore, switching to a cashless society simply isn’t worth the risk at the moment. Overall, cash is becoming less important with each passing year. However, it still remains the second most popular payment method. Brits especially, love to have different payment options open to them so it’s unlikely cash will be eliminated completely.